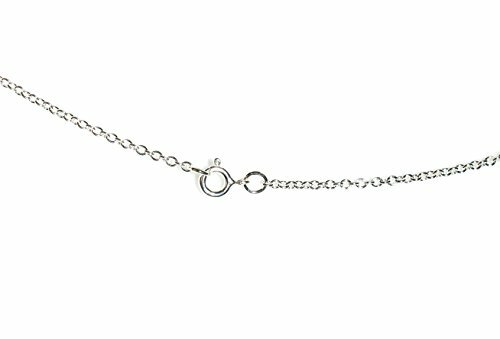 Simple and adorable: This heart key necklace is a radiant symbol of a bright future. Love is the key to living a happy life. 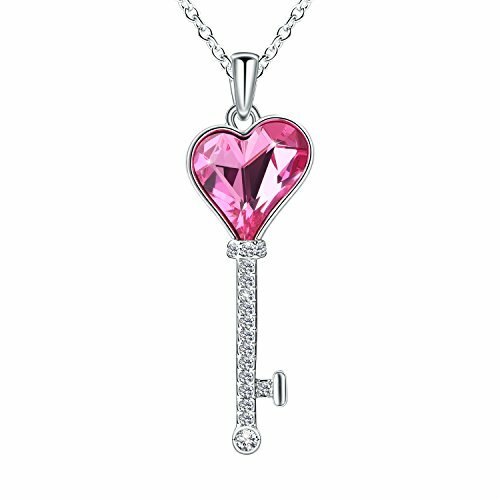 A sweet, romantic heart pink crystal is the perfect way to express your love! Best Gifts She Will Treasure: Comes in a beautiful gift box. 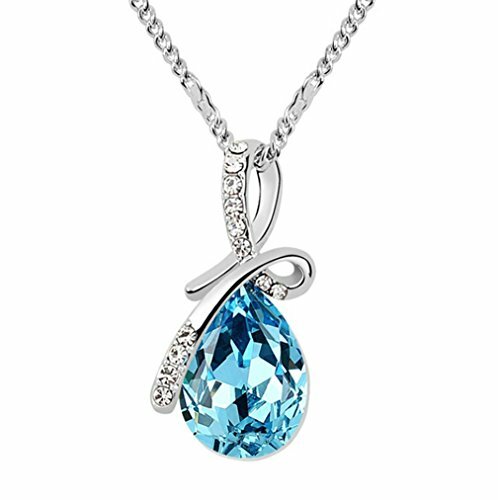 Say the world’s most wonderful three words – I Love You – with jewellery that beautifully spells out your feelings. 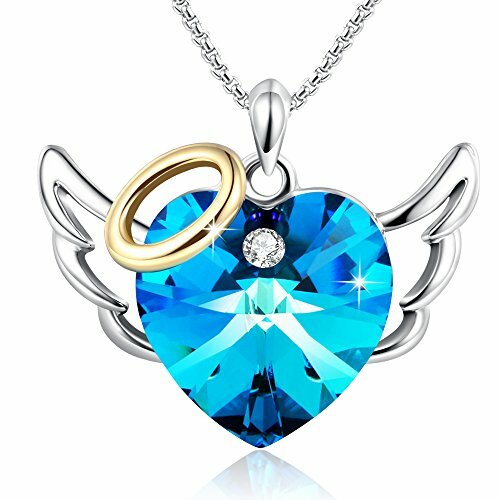 Material: Delicate crystals purchase from Swarovski (Pink) & White Gold Plated Alloy. 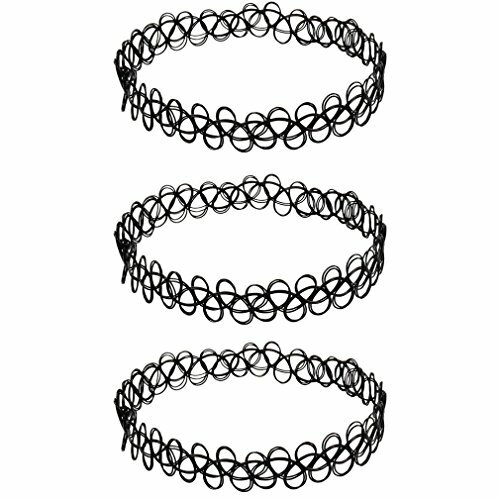 Triple-layer Plated, 5 times Thicker than Others. Lead-Free & Nickle-Free, No Harm to Body. 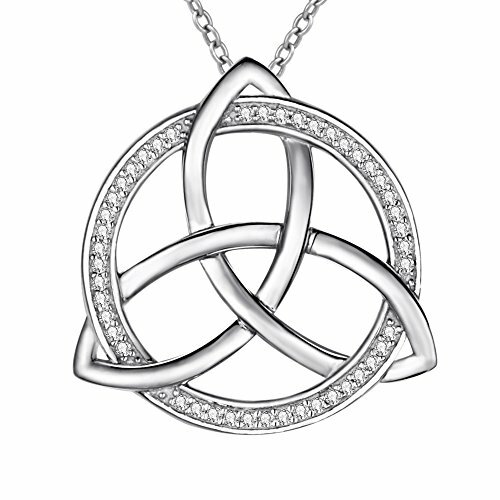 Sterling Silver Lucky Vintage Celtic Knot show you Irish culture and customs. 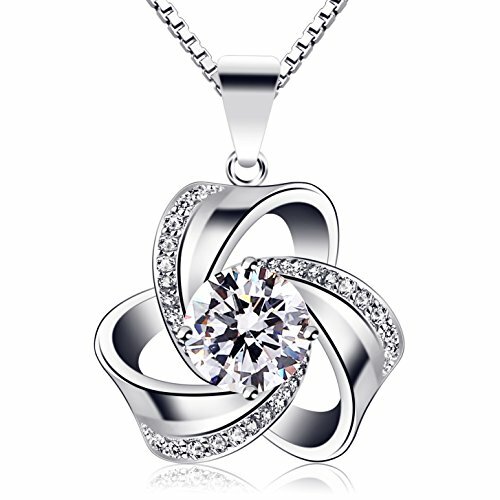 Material:925 Sterling Silver,Plated white-gold,White Cubic Zirconia. 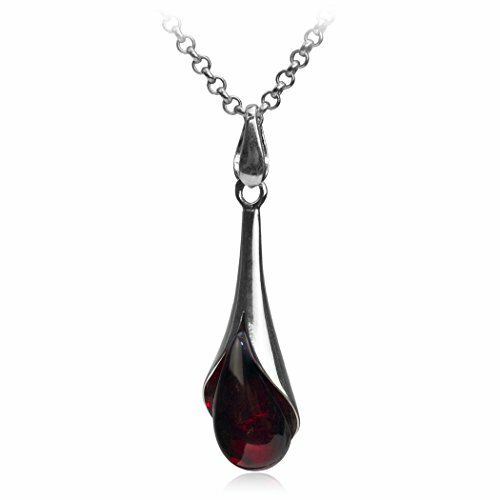 Pendant Size: 23.2*24.1*5.8 mm, Weight: 5.19 g. Chain size:1.2 Rolo chain length 45 CM +8 MM lobster buckle + 5 CM extension chain + water drop tag. 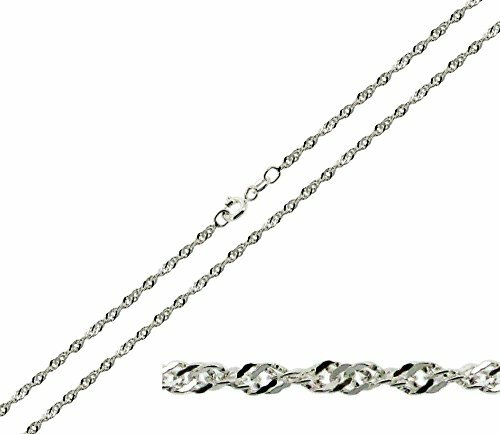 Material: 925 Sterling Silver, 5A Cubic Zirconia,Box Chain. Usage: A Perfect Gift for Mother’s Day, Christmas Day, Valentine’s Day, Birthday Gifts, Anniversaries Presents. 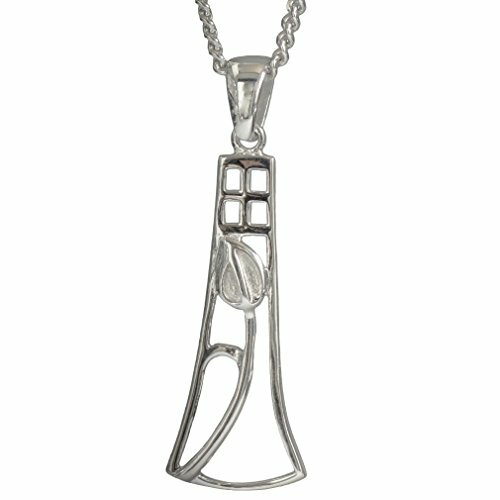 Cairn 544 Silver Rennie Mackintosh Pendant – “Willow”. Tarnish Resistant. British Made. Rennie Mackintosh Jewellery. 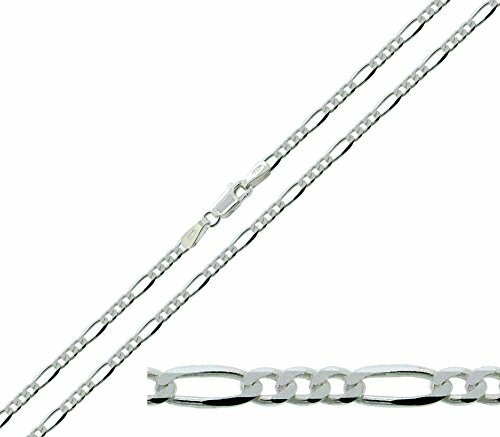 Sterling silver with additional Cairn TM “Rhodium” tarnish resistance treatment so your product will remain bright and fresh and you won’t have to spend time doing the tedious job of cleaning and polishing. The Charles Rennie Mackintosh Jewellery Collection. 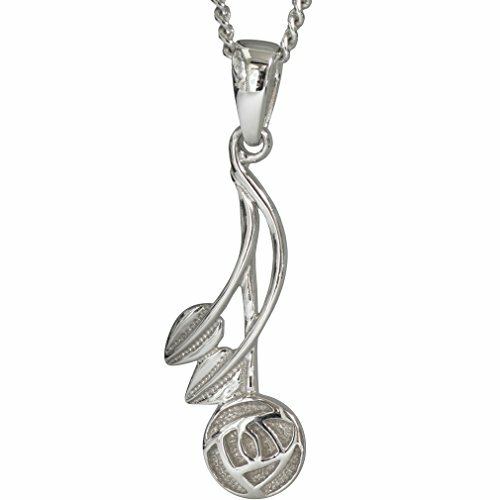 Cairn 630 Delicate Silver Rennie Mackintosh Pendant – “Frances”. Tarnish Resistant. British Made. Rennie Mackintosh Jewellery.